OSE assembled .250 (1/4") cable with 1/4 Propeller shafts. These can be used with 1/4"(.250") struts. 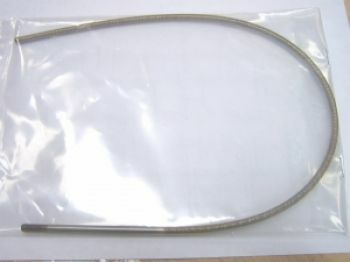 Assembled length: 18", 24", 30" or 36"
The OSE listed length is the total assembled length. Measured from end of cable to the tip of the propeller shaft. Flex cable lengths are approximate. They can be plus or minus one half inch. These assemblies require the customer to cut the cable to their required length.